After a long dreary winter, I’m thrilled spring has finally arrived. 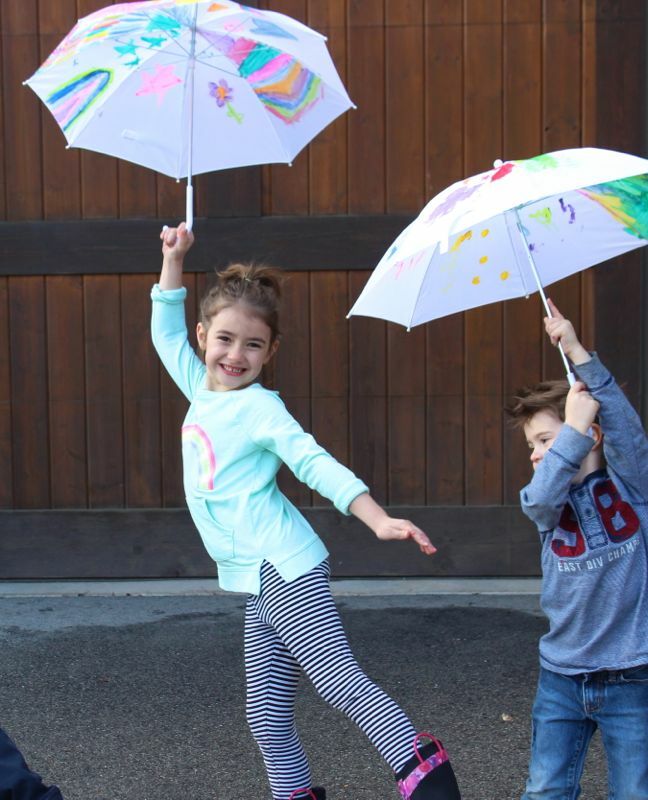 My kids can finally stretch their legs outside without freezing their butts off, and I love to watch my children sing and play in the rain. 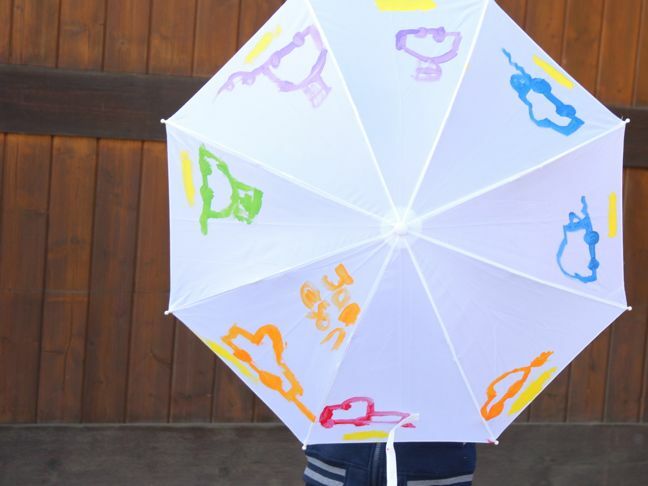 But before the kids get too soaked, I’m going to make sure they are prepared with their own personalized, painted umbrellas. 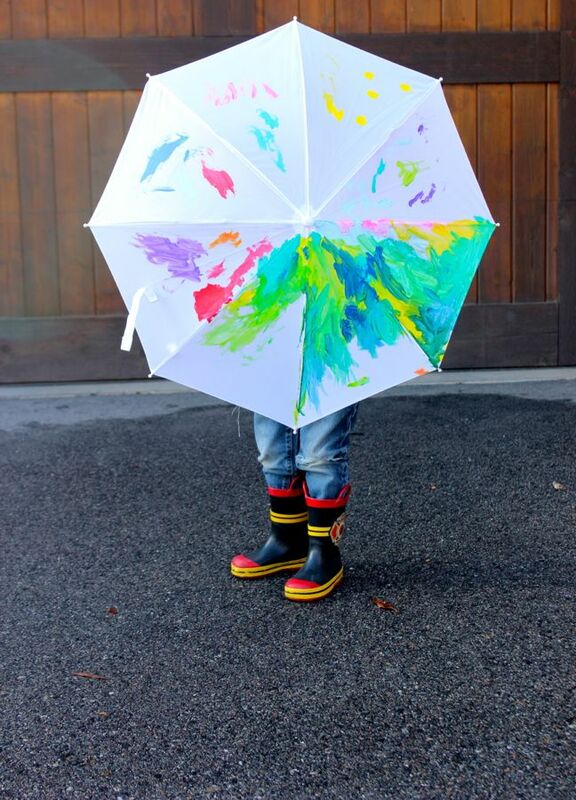 Umbrellas are one of those accessories that I hate to spend too much money on for my kids. It seems like every rainy day, one of my kids loses an umbrella. Rather than worry about all the money lost on misplaced umbrellas, I’ve embraced it, just buying them the cheapest white umbrellas I can find. 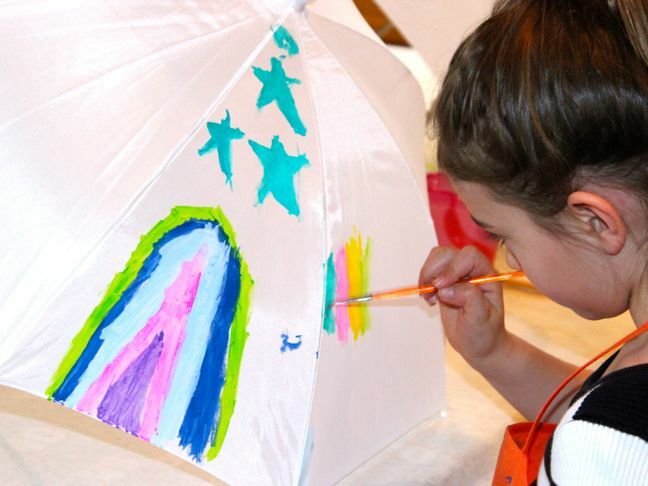 My kids hate the thought of just carrying around boring white umbrellas, so we set up a rainy day activity and they got in touch with their inner Picassos. 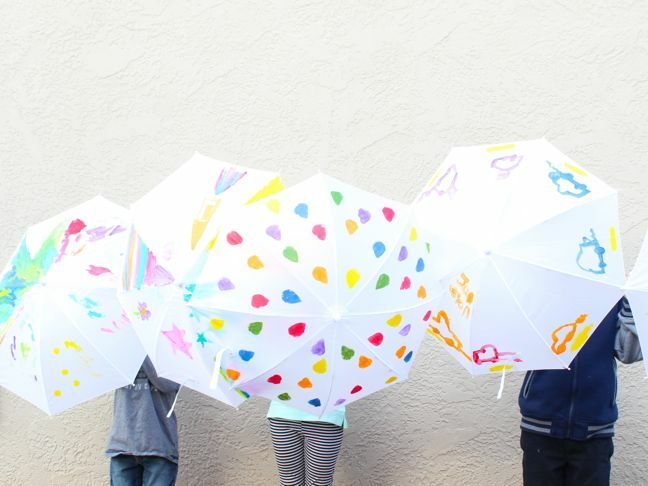 Setting them up with a little paint and blank canvasses, my kids transformed their “throwaway” umbrellas into pieces of art that they are proud to carry to school on rainy days. 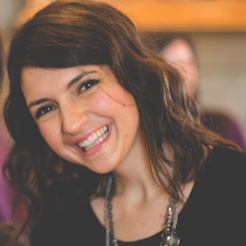 Invite the neighbor kids over, or plan this activity for next weekend’s birthday party. Creativity and Mother Nature will work hand-in-hand for some amazing memories the next time the clouds come rolling in. 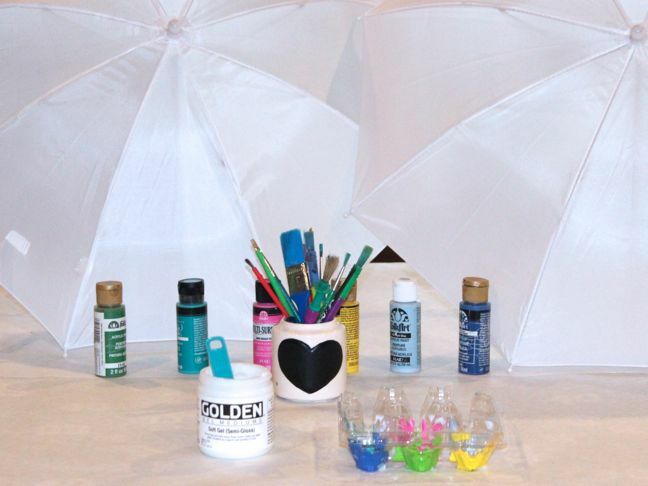 Step 1: Set up your table with umbrellas and fabric paint. (You can also use fabric markers.) Mix in 1:1 ratio paint and gel medium with a wooden stick. Step 2: Paint, paint, paint. My five-year-old daughter painted rainbows, stars, a flower, and colorful patterns. My seven-year-old son painted cars along a yellow-dotted road. My three-year-old son painted abstract art that was a hundred different things at any given moment. Step 3: Let the ink dry for twenty-four hours. While we waited for our umbrellas to dry, it rained. 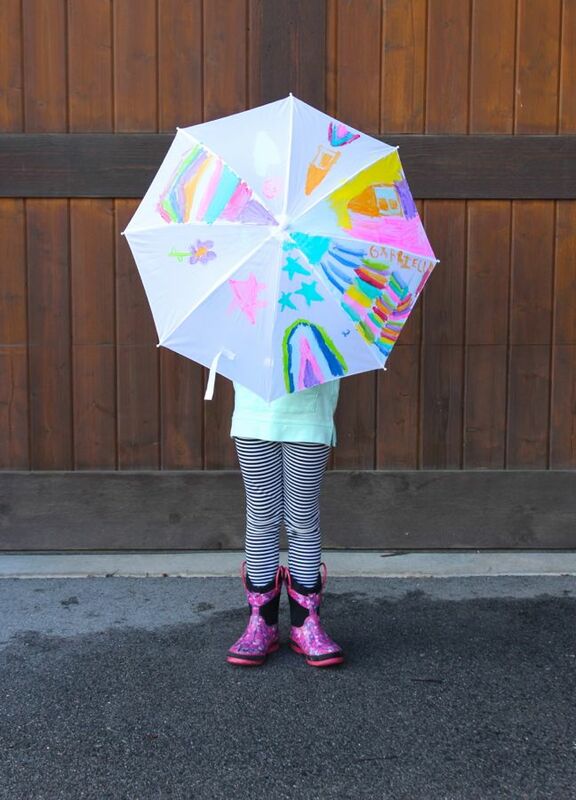 We missed the rain by about one hour, but the kids enjoyed their new, bright umbrellas rain or shine.